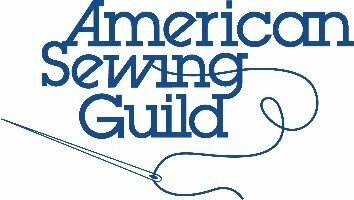 The American Sewing Guild (ASG) is a national non-profit organization dedicated to people who believe sewing is a rewarding and creative activity and advance sewing as an art and life skill. We hope to encourage and inspire people to sew. The Raleigh, NC chapter has about 200 members who attend Neighborhood Group meetings in Raleigh, Cary, Chapel Hill, Angier, Durham/Carrboro, Greenville and Louisburg. The officers and leaders are all volunteers. ASG members are welcome to attend any or all Neighborhood Group meetings throughout the USA. Non-members may attend TWO meetings; thereafter ASG membership is required. Membership is open to anyone with an interest in sewing, machine embroidery, etc. There are many benefits associated with being a member of the ASG, such as resources available through the ASG.org website, including information, inspiration and education; special members-only events, i.e., Stitch Camps by the Sea (an escape to Myrtle Beach with sewing friends for a fun-filled long weekend in November and January); scheduled seminars and workshops by nationally and locally known speakers; special offers and discounts at local sewing shops but the most important benefit is meeting others who are willing to share information, friendship, and other ways to learn about sewing themes. Community Service is also a part of Neighborhood Group activities where members use their sewing skills to help those less fortunate. If you are interested in attending a Neighborhood Group meeting to see our “sewing friends network” in action and hopefully becoming a member of the ASG, please contact Renee at caryday@asgraleigh.org. The Cary Day Neighborhood Group meets on the second Wednesday of the month from 10:30am to 12 noon. We all hope you will join us for lots of fun and encouragement. You won’t be disappointed!